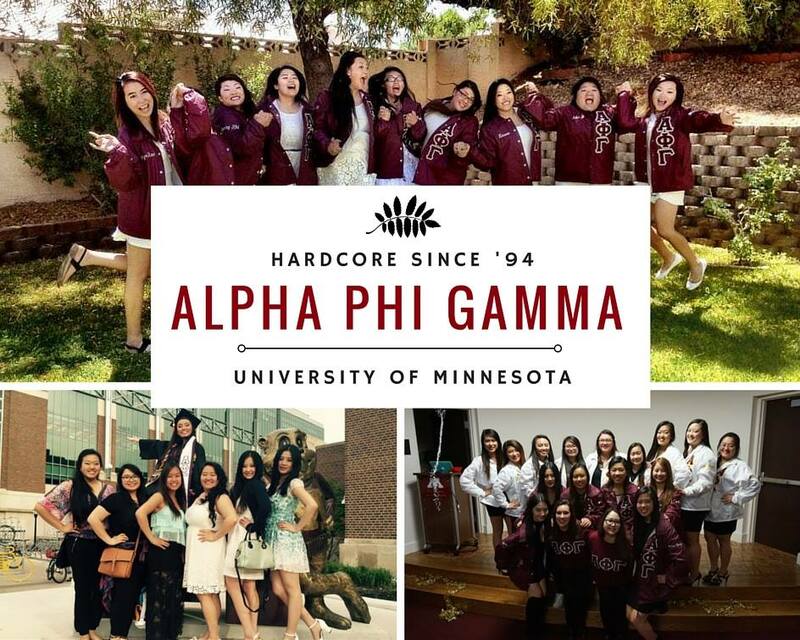 On October 9, 2009, the Asian Sorority Interest Group was established to fill a void in the University of Minnesota’s Greek Community. Determined to bring the first Asian Sorority to the University of Minnesota – Twin Cities, Angeline Heng, Elizabeth Kong, Choua Lee, Pang Zong Nancy Moua, Stacy Nou Moua, Sheng Thao, Nikita Nachao Vang, Kaonue Xiong, Mai Te Xiong and May Yang were inducted as the Charter “Classics” Class of Alpha Phi Gamma on June 15, 2014. In doing so, these Sisters established the first Asian Sorority at the University of Minnesota as well as the state of Minnesota. ​These Sisters acknowledge the importance of academic excellence, Asian awareness, community involvement, personal development and the potential for every woman to become a leader. The experiences and traditions that are formed shall become the cornerstone, truth, and strength for any woman seeking the lifelong Sisterhood of Alpha Phi Gamma.